Clean-up efforts after a container ship spill off the Dutch coast are being hampered by rough weather although progress is being made, the Swiss based vessel's owner MSC said on Wednesday.In one of the worst incidents off the coast of the Netherlands, more than 250 containers - some holding hazardous chemicals - fell off the MSC Zoe, one of the world's largest container ships, during a North Sea storm on Jan. 2. 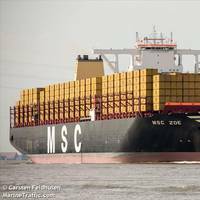 "This week, a storm is impacting the area being cleaned and unfortunately this will interrupt some operations," MSC said on Wednesday. The world of dredging is an ever changing and endlessly fascinating niche of the global marine industry, an indispensable activity essential to keeping world commerce flowing. 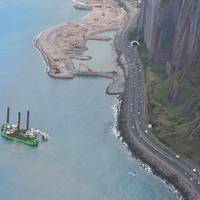 For insight on recent trends we visited last month with René Kolman, Secretary General, International Association of Dredging Companies (IADC), for his take on a world of dredging challenges and opportunities. In true Dutch fashion René Kolman is refreshingly forthright. Kolman assumed the mantle of leadership at IADC more than seven years ago, coming to the post from the landscape and garden trade association business. The first ocean cleanup system ever tested at sea will soon be deployed for trials 23 kilometers (12 NM) off the Dutch coast. The goal of the test is to see how the floating barrier design is able to cope in extreme weather at sea during a 12-month period. The Ocean Cleanup, a Dutch foundation developing advanced technologies to rid the oceans of plastic, unveiled its North Sea prototype today in the presence of The Netherlands government, as well as the main sponsor Boskalis, who will transport and install the prototype this week. The expansion of the number of wind turbines out at sea near the northern Dutch coast was reason enough for Ubels Offshore to expand its fleet with a fifth ship last year. Operating from the port of Eemshaven, the fast aluminum crew tender Vrijheid III fulfils the strict safety requirements of its clients for the transport of passengers and goods. Henk Ubels Sr is very satisfied with the Yanmar diesel engines, which are proving their reliability day in, day out. Maritime contractor Van Oord is beginning the construction of the Gemini Wind Park this year. 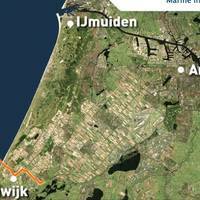 A total of 150 wind turbines will be built 85 kilometers off the coast of the province of Groningen, equating to an investment of €2.8 billion. 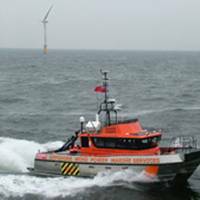 Van Oord is holding a two-day event along the Rotterdam Wilhelminakade quay to mark the entry into service of Aeolus, its first transport and installation vessel for the construction of offshore wind farms. Today, business relations have the opportunity to inspect the vessel. On Saturday 21 June, Mrs K. Aboutaleb-Erahoutan, wife of the Mayor of Rotterdam, will be naming the vessel in the presence of guests and Van Oord staff. The vessel was built at Sietas, a German shipbuilding yard in Hamburg. Dutch companies have started a weeks-long operation to raise the Baltic Ace car carrier, which collided with a cargo ship in 2012, killing 11 crew and sending 1,400 cars to the bottom of the North Sea, the government said on Tuesday. 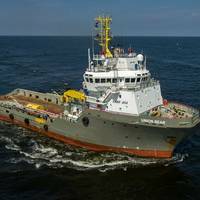 Boskalis and Mammoet Salvage were contracted to remove 540,000 litres of fuel, extract the automobiles and raise the wreck from a depth of 11 metres for roughly 67 million euros ($91 million). 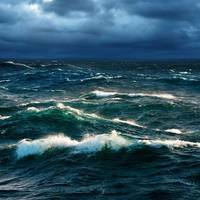 The Baltic Ace went down in stormy weather 65 kilometres (off the Dutch coast. 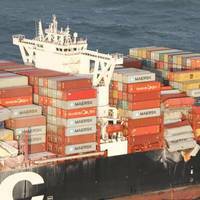 It collided with the Corvus J container ship on Dec. 5, 2012, in one of the busiest shipping lanes in the North Sea. The Dutch, a dominant maritime power during the Golden Age, have developed expertise in salvaging wrecks. Europe has yet to fully wake up to the danger of maritime disasters caused by signal jamming and blackouts of satellite navigation devices, say the proponents of a back up system on trial in British and Dutch ports. Ships increasingly rely on systems that employ satellite signals to find a location or keep exact time including the Global Positioning System (GPS) and GLONASS. But experts say such systems are vulnerable to signal loss from solar weather effects or radio and satellite interference and can also be affected by intentional jamming by criminal gangs, nation states or potentially from militant groups. 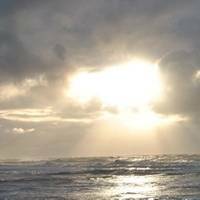 The General Lighthouse Authorities of the UK and Ireland (GLA) is pioneering a radio-based back-up prototype called eLoran. On September 29 the owners of Kvichak Marine Industries represented their company at the christening of P/Vs Aquila, Draco and Orion. 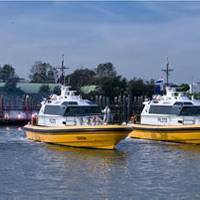 These three 72-ft pilot boats were designed by Camarc Design, Ltd., UK and built at the Kvichak yard in Seattle for the Dutch Pilotage Organization, Loodswezen. 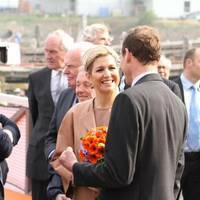 The christening gala was held at Hoek van Holland, the Netherlands . 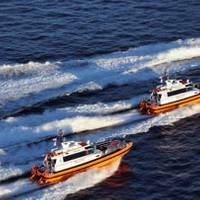 The vessels are powered by two, Tier II compliant Caterpillar ACERT C32 engines, coupled to ZF 3050 marine gears driving Hamilton 651 water jets. 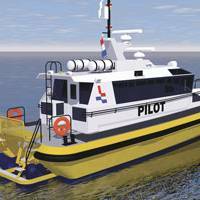 Kvichak Marine Industries has recently delivered three 72 ft all weather fast pilot boats designed by Camarc Design Ltd., UK for the Dutch Pilotage Organization, Loodswezen. P/V Aquila, P/V Draco and P/V Orion are being shipped to Europe with delivery expected in late July. The vessels will be in full operation in the ports along the Dutch coast after crew member training. These environmentally friendly vessels meet the stringent emission regulations set by the authorities of the Port of Rotterdam. containing arsenic pentoxide (Class 6), laden in palletised steel drums. 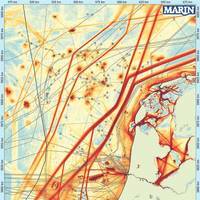 2003, twenty miles north of the Dutch coast, off Texel in the North Sea. owners immediately after the containers were traced. Multraship. Cormorant have been mobilised from Terneuzen. allow ROV inspection and diving work to be carried out. waiting in the nearby port of Den Helder until the weather improves. container slings by fully protected divers. the Multraship Commander. the operation for safety purposes. around the work with patrol vessel Terschelling. will monitor the water quality to see if there's any leakage/contamination. about three to four days. 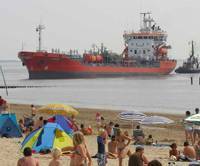 * Multraship is a leading independent Dutch towage and salvage company. by the Muller family, it draws on more than 85 years of experience.